We are a family business that has been trading since 1997. Linda is a qualified Industrial Designer responsible for the smooth running of the quotations, administration, scheduling and all other business matters. 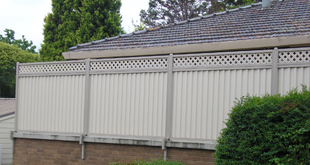 Mark has a trade background in carpentry, plumbing and roofing and has been installing steel fences made from Colorbond® steel since 1996. 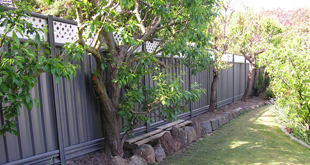 Mark has developed a very efficient system for installing prepainted steel fencing and can have your new Colorsteel fence erected in a very short time, to minimize any inconvenience to you. 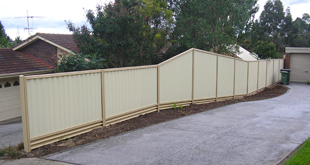 Colorsteel Fencing® provides a range of steel products to suit your fencing requirements. 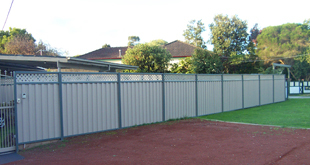 Our pull down and installation of your fencing is prompt and swift, and the end result will be a straight, strong good looking fence that will last more than 20 years. 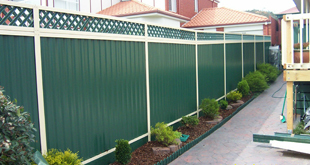 Colorsteel fences and gates look very smart and are an asset to your house and garden, complimenting your home. 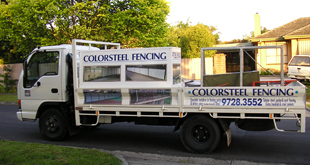 Colorsteel Fencing® uses products and equipment of excellent quality meeting our customers' demands and expectations. Diversifying our equipment and skills to keep up with the community's demands we have expanded our equipment range to include a Kanga loader with many attachments to suit many small excavation and construction jobs in and around the home.